How to Pray. Living a grateful and prayerful life doesn’t come easy to me. I’ve been in church my whole life, and I still have to make my prayer time with God a priority or it doesn’t happen. No Christian is excluded from this. If we do not intentionally invite Jesus into our daily lives, it won’t happen. At 5 am the alarm woke me up. Ugh, that’s the most annoying sound at 5 in the morning. But necessary, If I’m to wake up and start my day. I try to remember, in a half fog state of mind, to pray that Holy Spirit would be with me and guide me that day, but sometimes I forget. The day rushed out as quickly and chaotic as it rushed in. I knew I needed a change. I knew that meant living more intentionally, if I wanted everything that God has for me and my family. Why do we need a Gratitude and Prayer Journal? Surely, I am not the only person here who needs to keep it real with the negative thought process that bombards my mind or the need for a more intentional prayer life. As we complain about traffic, we could be grateful we do not have to walk miles to get to work. We could use that time to pray for the other drivers around us, our co-workers, clients and family. Let’s remember some have to ride a bus or train that is so jammed packed it is more like herding cattle instead of transporting people. In Mexico, the public busses are much like this. As we complain about our homes not being our dream homes, we should be grateful we have a roof over our heads and shelter from the storms. Let’s remember that others – our sisters in Christ – are living in small dirt shacks with no running water and with metal roofs that leak. As we complain about our boss at work, we should be thankful we have a job that brings an income to provide for our families. As some families, perhaps your neighbors even, go without heat, new clothes and fresh food. Having a perspective and prayer life of gratitude in every situation is definitely a challenge at times, however it can bring a peace to our lives. I think God knew this from the very start and that is why He calls us to seek Him in all things. He wants us to have a peace that passes all understanding. A prayer journal will help us write God’s word, our prayers and the things we are grateful for. It helps us live an intentional life for Christ. I want a peace that passes all understanding! Gratitude means being thankful, having and showing appreciation, and counting your blessings in the big things, small things, bad times and good times. There are many Bible verses that call us to be thankful, but let’s focus on just a couple of them for this challenge. 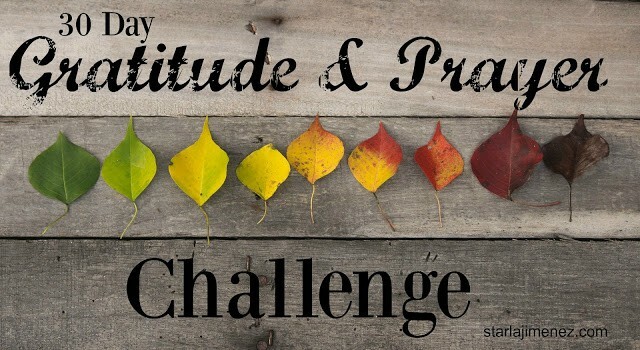 I want to challenge you to a 30 day Gratitude and Prayer Challenge. During the 30 day challenge let’s also memorize these two scriptures. I have created a simple Gratitude and Prayer Journal. It has 30 days worth of thankful prompts, bible verses and space to write out your prayers and what you are thankful for. Plus two extra cover page options. **By printing this out as a “booklet” you save ink and paper. My Gratitude and Prayer Journal is free to download and print for all email subscribers. Please click HERE for your FREE Gratitude and Prayer Journal. Please share this challenge with your friends. Having your friends and family join you will help you create an accountability and encouragement group. Let’s spend time acknowledging the little things we should be grateful for and seeking after God to change our hearts for Him. I’d love to see you using my prayer journal! Tag me on social media. 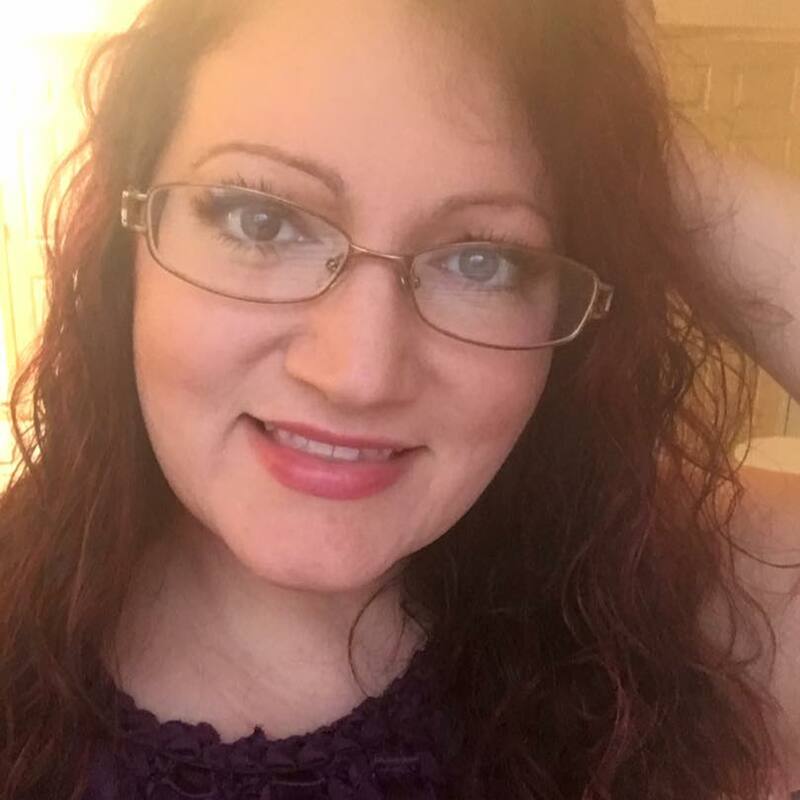 You can find me on Instagram, Facebook, Pinterest and Twitter. Ways to Immerse Your Life in Scripture.